Stacy Horn » Blog Archive » 666 Was Cancelled?? I can’t say that 666 is a work of television art, except there’s one very telling thing, at least in terms of how much I enjoy this show: when I look at all the shows I’ve DVR’ed, if 666 is among them I always watch it first. (Sometimes I watch the best shows first in case the world is about to end—I want to make sure to get my favorites in before it does.) 666 is deliciously entertaining and if it’s on the list I can’t wait to watch it. This is partially my fault. Had I been more ambitious and gotten a job in tv AND worked my way up to network president, AND then become the president of all the networks (made-up job alert) I could have prevented all the great shows from bring cancelled. 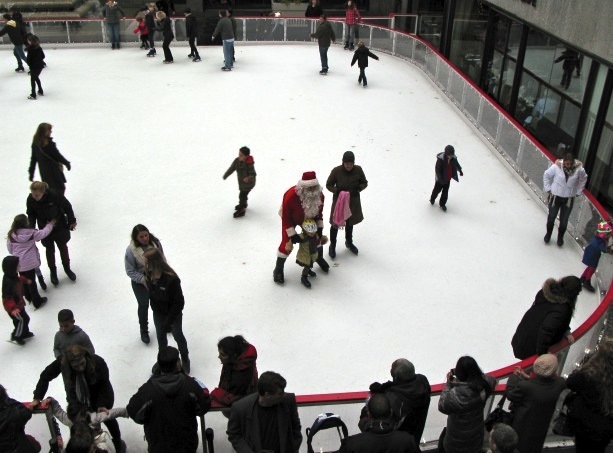 In the picture below, we catch Santa snatching a child at Rockefeller Center. Just kidding. 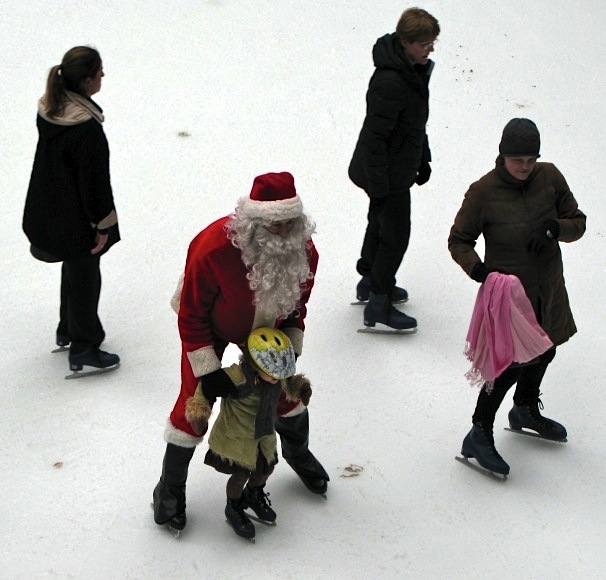 A skating Santa was having a photo-op with a young fellow skater. Ohmygod, I didn’t know. I’m taking that video down. Thanks, Stacy! There are plenty of really good charities besides the Sallies!